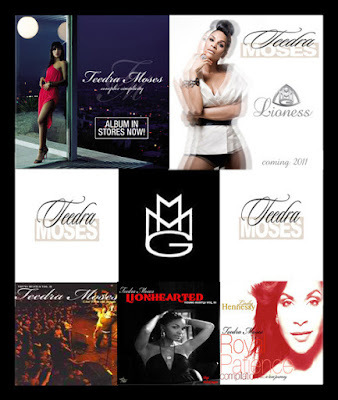 New Orleans finest, Ms. Teedra Moses gives her fans the "Luxurious Undergrind" Mixtape to rock to. Newly signed to Rick Ross' Maybach Music label, Teedra is fine-tuning that AMAZING album to come "The Lioness." In the meantime, support the beautiful soul-stress by downloading her mixtape and sending her love through Twitter @TeedraMoses and on Facebook. Gotta Love Teedra Moses. And if you are lucky enough to see her in concert, bring all of your energy, because she definitely brings ALL of hers with a live band and legs to die for! This Mixtape is HAWT!!!! Teedra delivers, you are right. It is on REPEAT! Teedra is so elegant, and yes she is Gangsta! This mixtape is amazing. Thank you Teedra!!! Come to Philly ma!